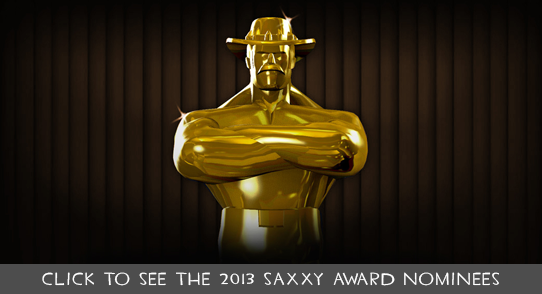 The 2013 Saxxy Award Nominees Have Been Announced! Wow. Just wow. Once again, we're just amazed at the quality of this year's entries to the Saxxy Awards. We laughed, we cried, we were hanging off the edge of our seats, and now we're ready to show you the best of this year's Saxxy Awards.